Copies or reproductions of Nina Kuriloff's artwork may not be made without her express permission. Here is a new drawing of a flower that I completed yesterday. If you wish to purchase it, you may do so by clicking here. 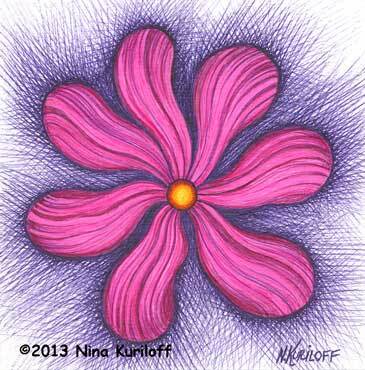 Please send me an email message at ninakuriloff@gmail.com if you wish to purchase one of my works of art. Some of them are already sold.